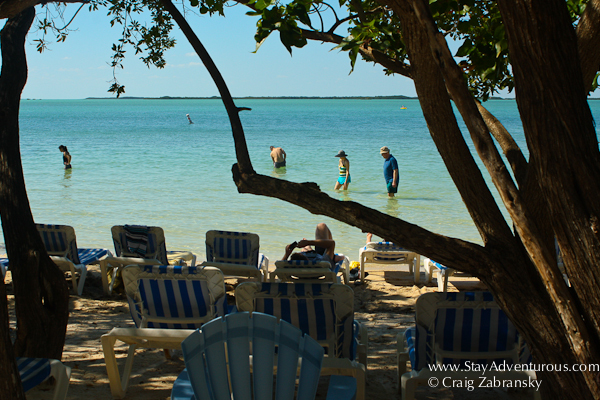 For those who don’t know the Florida Keys, they might picture idyllic beaches for leisure, but actually the Florida Keys are much more popular for boating, fishing, sailing, kayaking, snorkeling, scuba, and even jet-skiing on the water. It doesn’t offer too many beaches. But even with this dearth of beaches, visitors can find a few worth a visit. 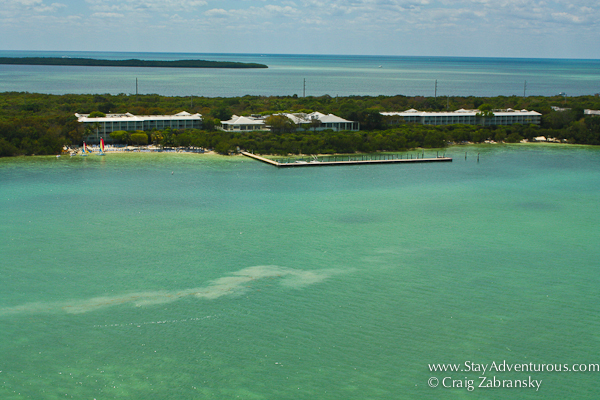 One of my favorites in the Upper Keys is definitely Nest Key, but if you don’t have access to a boat you can’t get there. Don’t worry though at mile marker (mm) 97, also in the upper Florida Keys, visitors can find one at the Hilton in Key Largo. Last winter I visited the hotel for a parasail adventure with Caribbean Water Sports and loved my time up in the sky over the water. 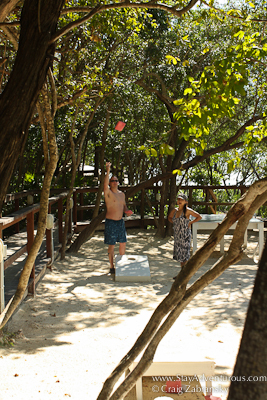 Over lunch I also noticed the seemingly secluded beach hidden by mangroves and tropical trees. I captured a few images from my afternoon. 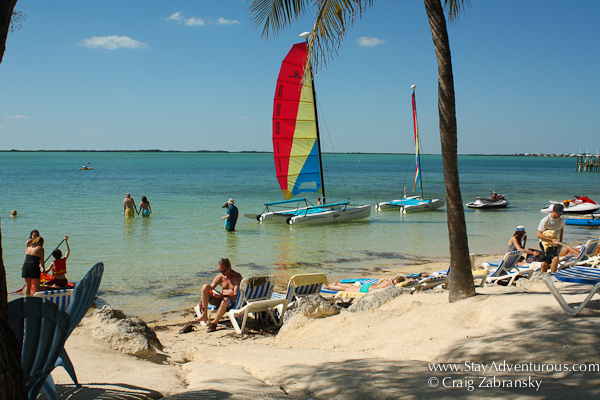 This winter when I am back in Key Largo, you can bet I’ll be paying another visit. this post is the first in the 2012-13 return of the winter series Beach Thursday. 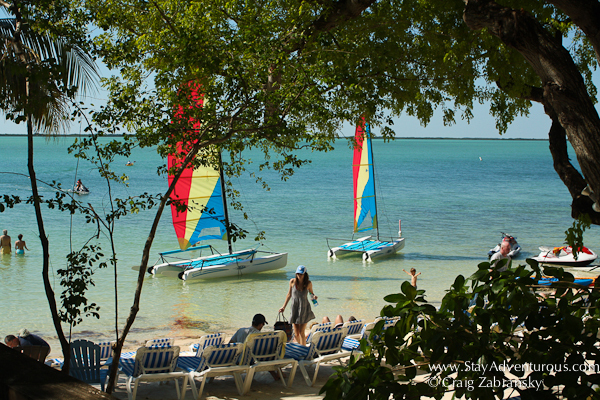 Also, I’d like to thanks the Hilton Key Largo Resort for providing lunch and Caribbean Water Sports for my time para-sailing. With all the snow and cold weather here in the Northeast, I can only dream about a warm tropical location. I love the Florida Keys. The climate and water with it’s beautiful color is amazing. Wish I was there. Beautiful. Naturally, I’m a fan, given the large amounts of Conch blood in my veins. lovely place! always wanted to visit the keys!! 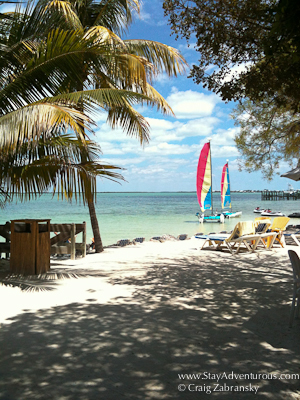 I will be away until October 8th in the States, but on the other coast… Florida Keys sometime soon. Great tip. I drove out to the Keys about five years ago and I could not find a beach anywhere. I wish I would have read this before.